Well, this is a surprise. All this time I had thought the Koch brothers, and indeed the entire energy industry, denied human-caused climate change, because to admit it would be to admit the burning of their fossil fuels was killing the earth. Was I wrong to conclude that these “gentlemen” would sacrifice our entire earth, and the future of our children, just to pad their own excessive fortunes? Over the weekend, UC-Berkeley professor Richard Muller outed himself as a “converted” climate “skeptic” in the New York Times after his Berkeley Earth Surface Temperature (BEST) project concluded the earth’s surface temperature had increased 2.5 degrees Fahrenheit in the past 250 years and one and a half degrees in the past 50 years, likely entirely because of human industrial activity. (Muller wrot,) “How definite is the attribution to humans? 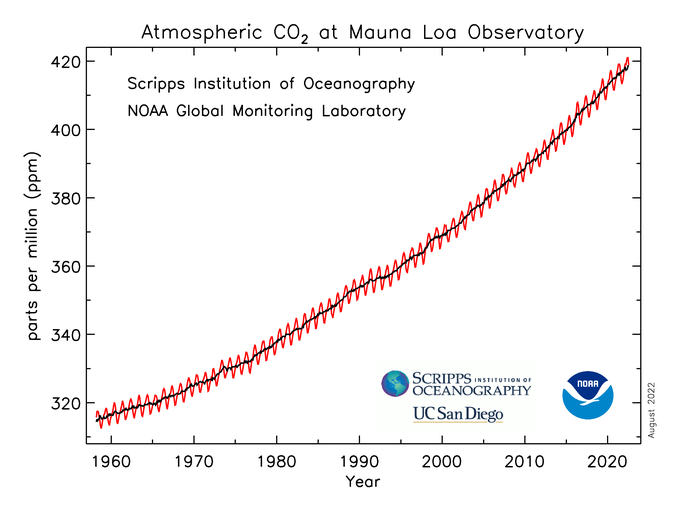 The carbon dioxide curve gives a better match than anything else we’ve tried. “Its magnitude is consistent with the calculated greenhouse effect — extra warming from trapped heat radiation. These facts don’t prove causality and they shouldn’t end skepticism, but they raise the bar: to be considered seriously, an alternative explanation must match the data at least as well as carbon dioxide does. Well, it looks like I owe the Kochs an apology. Maybe they aren’t the miserable, selfish, right-wing evil-doers I thought they were. In the relatively small universe of climate denial Soon, with his Harvard-Smithsonian credentials, was a sought after commodity. He was cited admiringly by Senator James Inhofe, the Oklahoma Republican who famously called global warming a hoax. He was called to testify when Republicans in the Kansas state legislature tried to block measures promoting wind and solar power. The Heartland Institute, a hub of climate denial, gave Soon a courage award. Soon is not an employee of Harvard. So let’s get this straight. Soon does not receive a salary. All his income comes from grants by the energy industry, an industry that denies human-caused climate change. Further, in publishing his papers, Soon “neglected” to disclose he was being funded by the right-wing energy companies. Well, I guess that settles it. Soon is an independent researcher whose work should be respected for his courage and honesty. At least one Republican, James Inhofe even wrote a book about it, “The Greatest Hoax.” Most other Republicans agree (i.e. are bribed to agree via campaign contributions and promises of lucrative employment later). Announcing an Earth Day trip to Florida on Saturday, President Barack Obama used his weekly address to say “climate change can no longer be denied – or ignored”. Attitudes to climate change among Republicans and in Florida recently made national news, after it was reported that the state’s Department of Environmental Protection had issued an unwritten policy to forbid state workers from using the term. Florida’s junior senator, Marco Rubio is among many leading Republican politicians who have said they do not believe climate change is caused by humans. One would have hoped that climate change would be a scientific issue, not a political issue. Sadly, that is not the case. Earlier this year, Politifact went looking for congressional Republicans who had not expressed scepticism about climate change and came up with a list of eight (out of 278). Below is a roundup of some of the key climate change sceptics in the incoming 114th Congress. The list begins with committee heads, and includes all the members of the new Republican leadership teams in both the House and Senate. At the bottom are prospective 2016 presidential candidates currently on Capitol Hill. A personal prediction: Within a few years, as the facts continue to pile in, and climate change deniers look ever more ridiculous, each of these Republicans will claim he/she always had known humans were causing global warming, and in fact it was “obvious” to them. I sometimes wonder if these deniers know they’re on tape and on the record. Anyone switching positions will be made a fool by the press. It happens all the time and they still try to get away with it. Most politicians have but two concerns: The next election and the money to buy it. History means nothing. Consistency doesn’t matter. They say so much, day after day, they believe they can point back to some statement that remains correct today. They believe they can double-talk their way out of anything, even when they make erroneous statements or write foolish articles. Yes, just what we need: Another “painful recession” so we can have “sound money” (aka gold) Yikes! Is it just an coincidence that Schiff is in the business of selling gold, and his latest book is titled, “The Real Crash: America’s Coming Bankruptcy? That time bomb is still ticking. Don’t count on people like Schiff, or any politician, ever being embarrassed by their ignorance. It’s not a concern. Why was the name changed from “global warming” to “climate change”? You wouldn’t think it’s because it’s actually colder – would you. 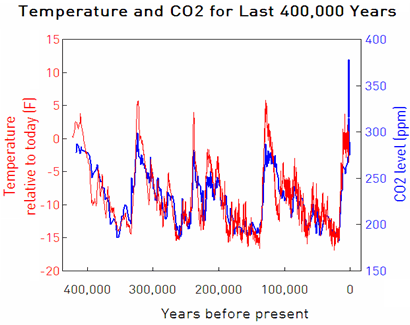 Because humans have begun pumping vast amounts of CO2 into the atmosphere, it is reasonable to expect temperature to rise, which, in fact, that is exactly what they have been doing since the advent of automobiles, furnaces, factories, coal-fired electric plants, etc. It would be reckless to ignore this relationship and to ignore what is happening, now. Rodger! Are you convinced that the evidential Climate change is deleterious and, if so, to what extent! Or are the change effects not significant or don’t we know whether they are or not? If the latter, then why keep beating the drum intimating the former? What’s the sense of this? Changing the climate of the world is a huge step. It will affect every animal and plant in existence, including us. So, the real question, before we take such a step is: Are we sure these changes are NOT harmful? Before you kick that mysterious package lying on the street, be sure you know it’s not a bomb.